The integration between Tableau and Redshift is powerful, but it requires many preliminary steps. Panoply eliminates most data engineering and database admin operations. Are you a data analyst? You must be familiar with both Tableau and AWS Redshift and you must know (or at least you should believe me) that integrating the Redshift columnar-based database speed with the mature, rich, and interactive Tableau creates an awesome experience. In a previous article, I described how to create custom Google Analytics dimensions, export the data, and import it to Redshift. Don’t miss it, since this one is a continuation of it. In this short one, I will take you through the integration process, through to the eventual presentation of an aggregated graph of page view performance by the number of visitors. 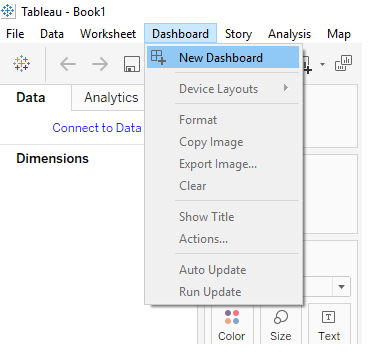 Note: In this guide, we use Tableau desktop version 10.0, which you can easily download and try for free. Once downloaded and installed, you can perform the following steps to connect it with Redshift. It will also help to ensure you have your Redshift information (host name, database name, username, and password) on hand. 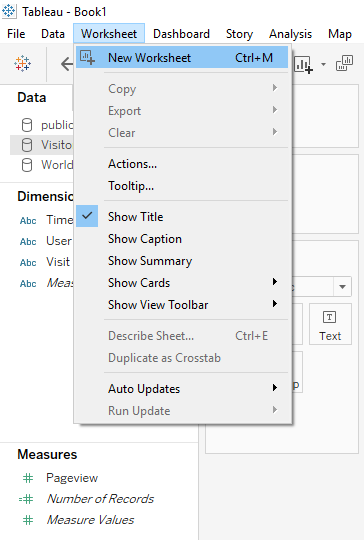 On the Tableau Desktop start page, under Connect, select the Amazon Redshift option. Enter your Redshift information and click Sign In. Click the data source name at the top of the page, then enter a unique data source name for use in Tableau. It’s good practice to use a data source naming convention that helps other users figure out which data source Tableau is connected to. Drag the table to the canvas, then click the sheet tab to start your analysis. Now that Tableau is connected to our Redshift database, we can move onto visualizing it. 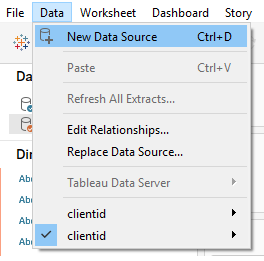 From the Tableau Desktop menu bar, select Data and then select a table from the list of data source tables at the bottom of the popup menu. 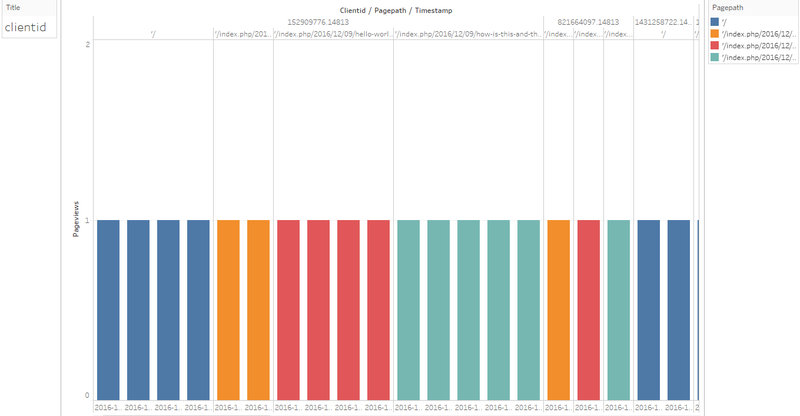 For our example, we wanted to create reports and charts based on the clientid table (as shown below). Next, on the menu bar, select Dashboard > New Dashboard. On the menu bar, select Worksheet > New worksheet. Next, on the menu bar, select Data > Users. From the Dimensions and Measures sections in the left pane, you can adjust the worksheet, selecting the relevant columns and rows. For example, the screenshot below shows which pages have been viewed and how many times, by date. Number of page views by specific page by specific clientid and by date. 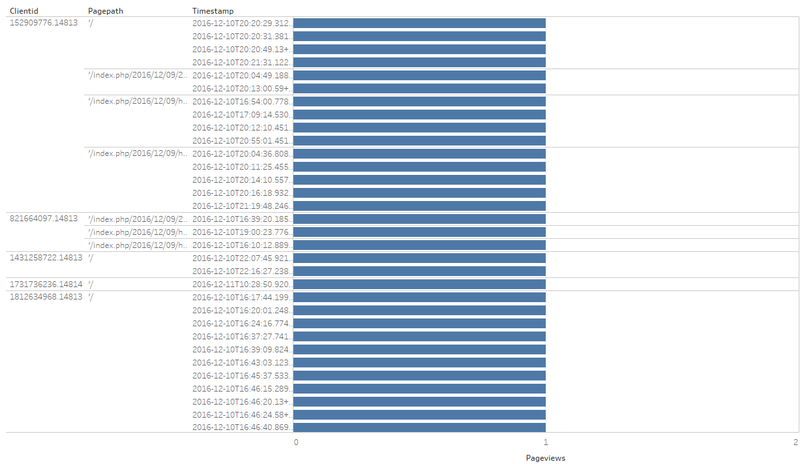 Number of page views by specific page by specific clientid and by timestamp. As can you see, using Tableau Desktop offers a simple way to start visualizing your Redshift data. The integration between Tableau and Redshift is a powerful one. However, there are lots of preliminary steps that are required to make it happen, which can make the whole process cumbersome, lengthy, and hard to maintain. In an advanced real-life case, your database will hold more than two tables and will need to be continuously processed to be ready for visualization. There are lots of preliminary steps that are required to make it happen, which can make the whole process cumbersome, lengthy, and hard to maintain. Panoply.io provides a data warehouse solution, from extracting the data source right through to load and transform. Besides out-of-the-box integration with Tableau, Panoply services also integrate with other external BI tools such as Chart.io, Looker, and PowerBI. The automated, data management solution leverages Redshift infrastructure and empowers it by eliminating its management overhead, including both the underlying infrastructure and the database layers. You can think of Panoply as an automated data engineering robot, eliminating the vast majority of data engineering and database administrative operations.